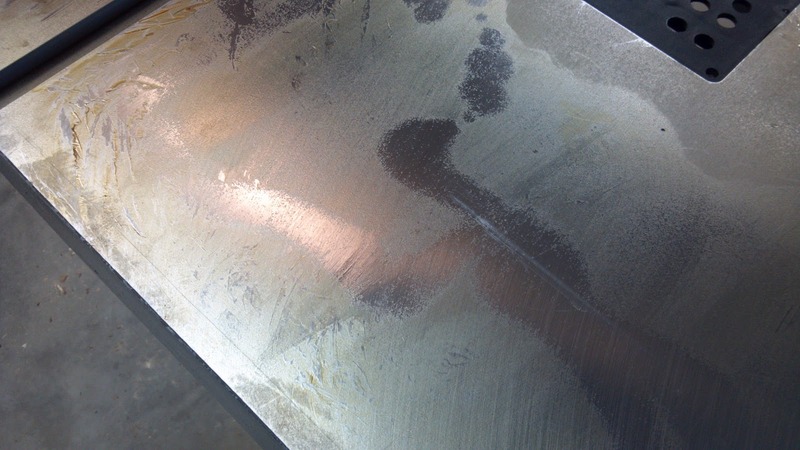 Cosmoline has a long history of helping to prevent rust from sneakily encrusting itself on pricey tools and equipment while also keeping people busy cleaning it up. There are a bunch of methods to clean this gunk off of metal parts, one of the best (in my humble opinion) for small intricate parts, being a little dish soap or simple green and hot (emphasis on hot) water followed by an immediate light coat of oil or paste wax. If you don't want to use water, which I often prefer not to, I have found that a quick soak in an orange oil cleaner like goo gone works quickly and efficiently. To clean the bandsaw table shown below, I simply soaked a couple of lint free cotton cloths in goo gone and then directly applied more to the heavily-Cosmolined areas and it cleaned up with minimal effort. 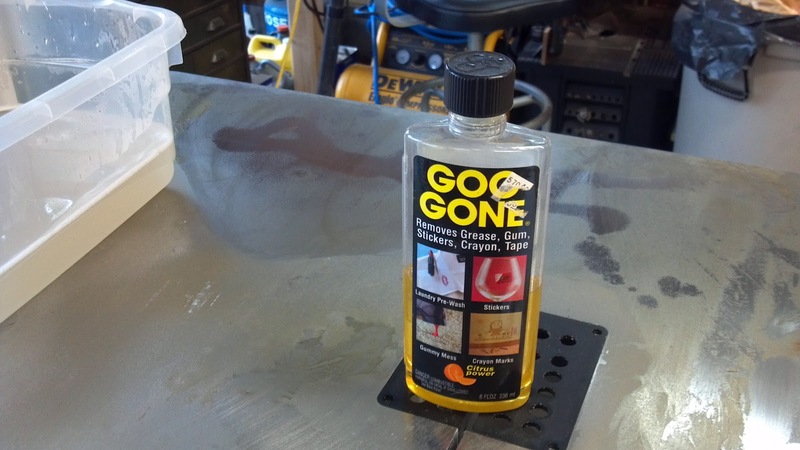 One very important thing to note, however, do not apply goo gone (or its counterpart Goof-Off) to rubber, plastics or an automotive style paint job. These products have a tendency to turn rubber into tar, plastic into a warped cloudy mess and it will cloud up clear coat on an automotive paint job resulting in a rapid urge to hurdle the bottle at something breakable. Needless to say, I might need to buy this stuff by the gallon as it cleans just about anything and doesn't smell like kerosene. Clean And Ready For Use!